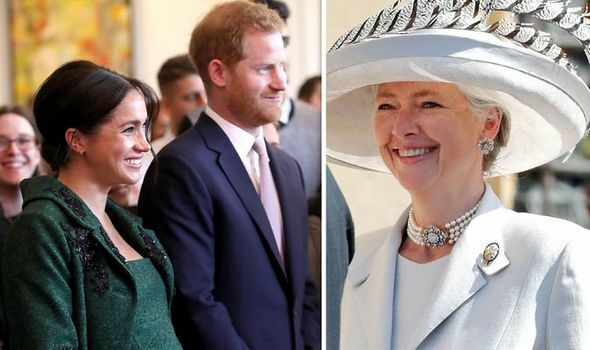 PRINCE HARRY’S former nanny is in the running to be a godparent to his and Meghan Markle’s royal baby, according to the latest odds. 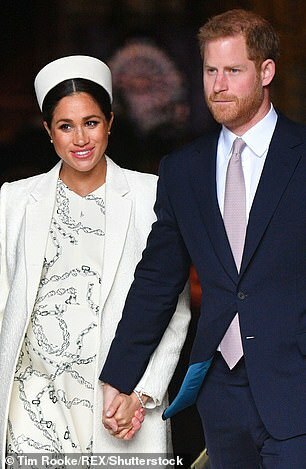 Baby Sussex is due this month and speculation is high over who the royal godparents will be. 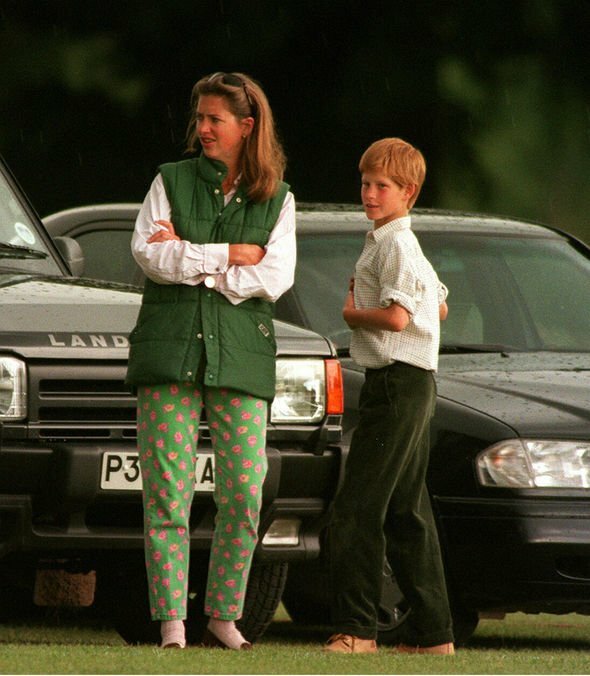 Tiggy Pettifer, previously known as Tiggy Legge-Bourke, was Harry and Prince William’s nanny from 1993 to 1999 and she is 6/1 to be picked, according to bookies Coral. Harry and Tiggy have remained close over the years and she attended his royal wedding to Meghan last May. Meghan’s best friend Jessica Mulroney is the favourite at 1/2, while a string of the mother-to-be’s celebrity pals including her former Suits co-star Abigail Spencer, US talk show host Oprah Winfrey and tennis legend Serena Williams are also potentials for the royal role. Harry’s good pal Nicolas van Cutsem, who is Prince Louis’ godfather, is at 6/4, while cousin Princess Eugenie is 3/1. 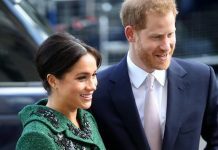 Coral spokesman Harry Aitkenhead said: “Royal children are almost always blessed with more than the usual amount of godparents so Harry and Meghan certainly have a plethora of candidates to choice from at the moment. “Jessica Mulroney is our banker and is heavily odds on in our betting to get the nod, whilst Nicolas van Cutsem and Princess Eugenie are also ones we expect to be right at the top of the list for the parents. “Harry’s former nanny Tiggy Pettifer is slightly longer odds but we’ve cut them down to 6/1 all the way from 14/1 about a month ago and there are certainly plenty of people who can see it happening. Bookmaker Betfair makes it 8/1 that Tiggy will be one of the tot’s godparents. 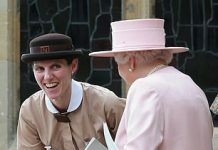 Harry’s childhood friend Charlie van Straubenzee, who was an usher at his royal wedding, is 6/1. Tom Inskip, who was with him when he was caught naked on camera during a game of strip billiards in Las Vegas in 2012, is 40/1 amid reports Harry has frozen him out since marrying Meghan. Meanwhile Prince William and the Duchess of Cambridge are at 4/1 despite claims of a royal rift. 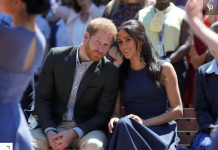 Betfair spokeswoman Katie Baylis said: “Just who will be given the honour of being named godparents to the new prince or princess is one of the biggest questions ahead of the birth of Harry and Meghan’s baby. “The front runners at this stage, according to Betfair punters, are Jessica and Ben Mulroney at 2/1 and William and Kate at 4/1 which is probably not too much of a surprise. “George and Amal Clooney at 6/1 are also proving popular, while Harry and Will’s former beloved nanny Tiggy Petifer is now at 8/1. Meghan is due to give birth in April or early May but the exact date has not been announced. The Sussexes have now moved into their new Windsor home Frogmore Cottage ahead of the birth.